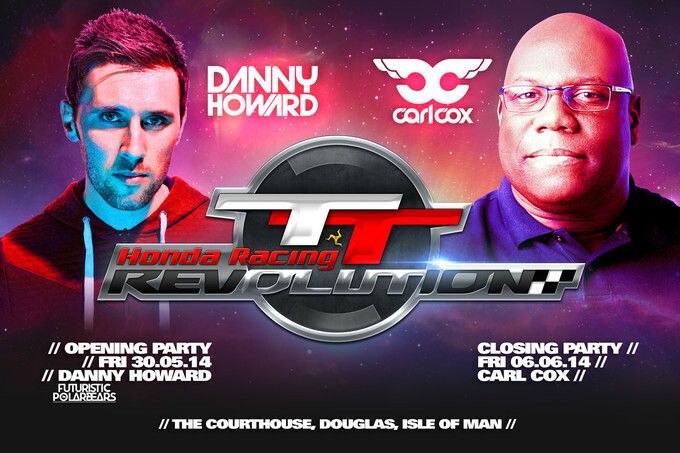 Honda has unveiled an event that will be a centerpiece of musical entertainment at this year’s TT races, headlined by bike nut and superstar DJ Carl Cox alongside Danny Howard of Radio 1. The events will be situated at The Courthouse, Douglas. Tickets will go on sale on at 9am on Monday 14 April at skiddle.com as well as being available to purchase locally at The Courthouse. Prices are £15 for the opening party with Danny Howard and £20 for the Carl Cox closing party.